Well, that was not exactly the turning point we were looking for. It wasn’t rivaling the FA Cup game away to Stoke or *that* Kevin Brock backpass, both in January 31 years ago, which are vaunted as the spark that ignited the most successful time in our history. But it was something. The first half against West Ham almost passed for something we saw last season – we were getting on the front foot, Romelu Lukaku was using everything at his disposal to make the defenders’ lives hell – but nothing was quite going in. Meanwhile, it was a blind panic every time the ball came within thirty yards of Joel Robles’ goal. It wasn’t even Robles’ fault. He’s starting to look like the keeper we paid real, non-Monopoly money (I looked it up after the Krasnodar game) to bring in as solid cover for Tim Howard. Phil Jagielka and Sylvain Distin genuinely look scared of the football right now. Although, to be fair to Distin, nothing has changed in that respect. There’s talk of a confidence crisis but the person who looks the most shaken of them all is our captain. Either he feels exposed or does not trust himself. Either way, seeing him give a post-match interview with his chin glued to his chest and then issuing a limp interview with the Guardian in which he asked “how many times can you give a rallying cry?” doesn’t really inspire much confidence in those who continue to back him. One is the answer by the way Jags mate. One will do. We’re certainly not playing to the centre backs’ strengths, and it’s not totally clear whose strengths we are actually playing to. Romelu Lukaku said as much when he told the gallant tale of the team rising as one to whine “can we hit it direct a bit more?” to the boss. Essentially Romelu Lukaku asked that the ball was given to Romelu Lukaku as quickly as possible, which is great when you’re Romelu Lukaku. Hitting the ball up field for the sake of it is a just a gift to the opposition. But clearly Baines and Coleman aren’t feeling the benefits of this system. The wingers – if we have any – definitely aren’t. It might be wise for Roberto Martinez to revert to a more comfortable playing style and then come back to his Utopian gameplan when we are on a run of victories rather than defeats. But that’s the sort of man he is. After racking my brains for a bit I realised he’s very much like the Black Knight in Monty Python and the Holy Grail. “It’s just a flesh wound!”. Actually, it’s probably worse. The thing is with supporting a club as old and venerable as Everton is that we’ve basically done it all before. For instance, this season brings up plenty of reminders even if we just work within the Premier League “era”. First up, the last time we scored seven goals in our opening three league games – 1993/4. Howard Kendall’s second spell in charge ended, so renowned buggery enthusiast and all-round knobhead Mike Walker took charge. His “brand” of football was neither compatible with the team we had at the time nor effective in any sense. Alright, we battered Swindon at home. Well done Mike. But we escaped relegation by a whisker, winning the FA Cup the year after with Joe Royle. So we’ll fast-forward to 1996/7; after exceeding expectations by finishing sixth, there were whispers of Everton once more launching a challenge for the title like the good old days a decade before. But we ran out of steam, conceding way too many goals, and finished 15th, with Dave Watson in charge by the end of the season. That led to Howard Kendall The Third and Walter Smith, which I’ll skip. Arise, Moysey. Moyes led us to seventh in 2002/3, but 2003/4 saw a complete collapse. Moyes’ luck has run out, they said. Time to drop this new style of play or get dropped, they told him. Finishing 17th was horrifying, but fourth place the season after it made the patience worthwhile. Then we go to the season after that, 2005/6. Faced with a return to Europe for the first time in a while, there were concerns over squad size and the ability to deal with the Champions League. And then…apres Collina, la deluge. We fell apart somewhat, losing four straight games as part of a dire run that saw us plummet down the table. But the quality of the squad at least prevented a relegation scrap and we settled for 11th before sitting comfortably in the top tier of the Premier League for the following years. There are touches of all of those campaigns in this one. And it could be argued (convincingly) that this is the best squad we’ve had in recent decades to deal with such issues. But sadly, although history normally repeats itself, it can’t guarantee it. It’s hard to imagine worse football than under Mike Walker but a worse performance is still possible. So we need to establish ourselves, right? Make Goodison that fortress again? Do the boss football and that? Ah right. Man City are in town. How I long for the days where “Man City home” sounded an awful lot like “three points”. But they’re boss now, and when you see that Sergio Aguero and Vincent Kompany have returned to the squad just in time to make death eyes at us from the bench along with perennial pain in the Everton arse Frank Lampard, you can’t help but be worried. But this Man City side, despite being top of the league, are not impenetrable. Both Burnley and Sunderland came from two goals down to draw level with City at the Etihad, although only Burnley came away with a point. The difference is both of those sides showed fight after going behind and also proved themselves capable of springing a surprise to catch Man City off guard. Predictable football will see us beaten easily today. Currently the problem is once we go behind we so rarely look like getting the equaliser. Perhaps Romelu Lukaku has set a precedent. So, the teams. Hart in net, hoping for a nice quiet game like at the Etihad a few weeks back. Zabaleta, Demichelis, Mangala and Clichy in a defence that certainly explains why Burnley and Sunderland scored two apiece against the champions. Fernandinho and Fernando as the anchors, in front of whom Nasri, Navas and Silva will look to give Gareth Barry concussion without even touching him. You’ll see how that works later. Jovetic up top, and a bench that’ll cause all manner of problems in the second half. This will be one hell of a battle. Oh, for the good old days, when they’d just roll over. And for Everton – Joel in goal. Never thought I’d say this sentence, ever, but he needs to do a Mucha. The defence is exactly what we’d want – Coleman, Jagielka, Stones, Baines – but the full backs will need help with the likes of Nasri and Navas pinning them back. Barry – yes, he’s picked again – with Besic in the midfield. Possibly why Aguero’s staying safe on the bench for a bit. If Besic doesn’t get you, Barry will arrive about a minute late for the tackle. McGeady on the wing. Yes! 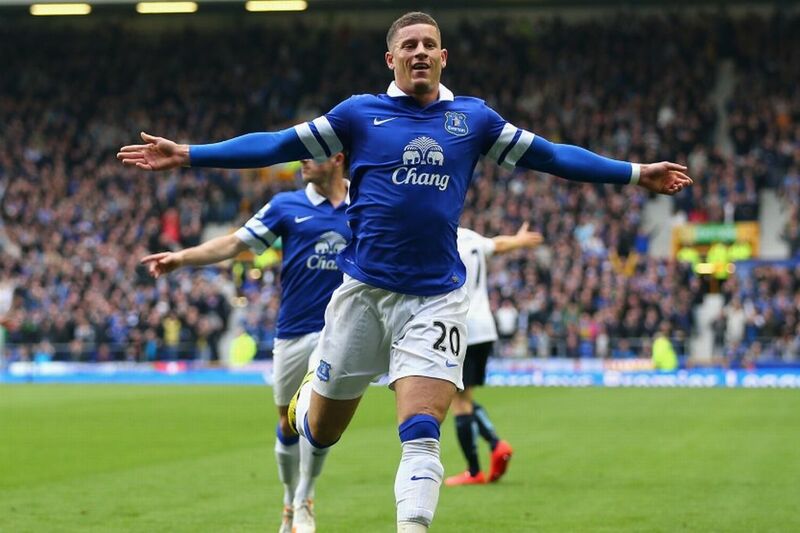 Two wingers playing toget-oh, no, wait, Barkley’s out wide again. 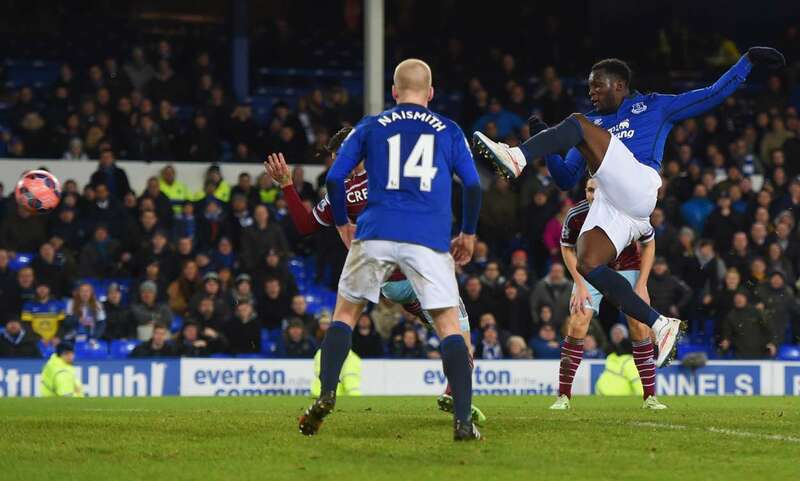 Naismith behind Lukaku. It’s a side that can certainly score goals if it all clicks. So there you are. We’ve been referencing history an awful lot recently – not in the “ooh, trophies = history” mong sense, but in looking to our past to provide answers for our future. And the lesson is that nothing is ever easy, but on the most part it always works out alright for Everton. All sorts of cliches about it being darkest before the dawn can go in here. Simply put, the sooner we stop the rot, the sooner those good times roll in. And what better day to do it than today, eh Everton? Fight for it. That’s our only hope. For God’s sake, why not play Oviedo instead of Barry and inject some pace into our midfield. Just can’t see us winning this with Ross out of position yet again and Mirrallas on the bench? Martinez has lost the plot, big time. After 56 years as a supporter, I’m horrified by the way our team is imploding under this man.